The Hover Jet is powered by air. 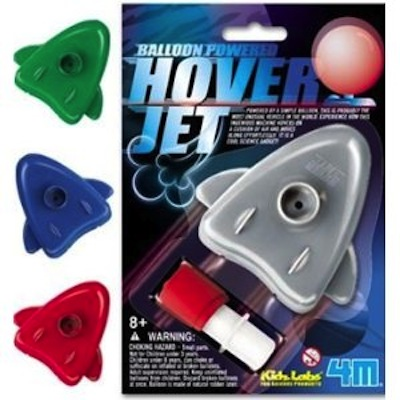 Blow up the balloon gas tank and watch as the vehicle hovers on a cushion of air and moves along effortlessly! Measures approximately 3 inches long. Colors vary. Price per Hover Jet.